Please show Univ. of Redlands ID at sign- in. Please preregister as a teacher and list students as your guests. Students show school IDs at sign-in. Call WAC 909-558-4420 to check space availability if more than 5 students. Financial Systems, and Intellectual Property? 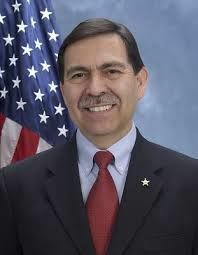 Mr. Chapa retired from the U.S. Secret Service (USSS), Department of Homeland Security after a more than a 25-year successful career, including Assistant Director and Chief Technology Officer responsible for the Technical Security Division. Mr. Chapa also served as Special Agent in Charge of the Los Angeles field office including leadership over the nation’s premier USSS Electronic Crimes Task Force (ECTF). Since 2012, Tony Chapa has been providing global security services and management throughout the world to a wide range of organizations as Executive Vice President of Nastec International, Inc. He also serves as Executive Director of the Hispanic American Police Command Officers Association and on the Board of Directors of Black Ops Partners, a cybersecurity firm focused on providing "tip of the spear" experience, strategy and capabilities required of Boards of Directors leading major international corporations". The success of America’s economy and democracy depends on secure voting and financial systems. These issues and the safety of our intellectual property and creative innovations are vulnerable to hacking in today’s rapidly changing and competitive world. How do we move beyond traditional military concepts of security to ones that include coping with digital challenges? to a stronger digital America? Download and share the flier attached below. Use it for mail in registration.